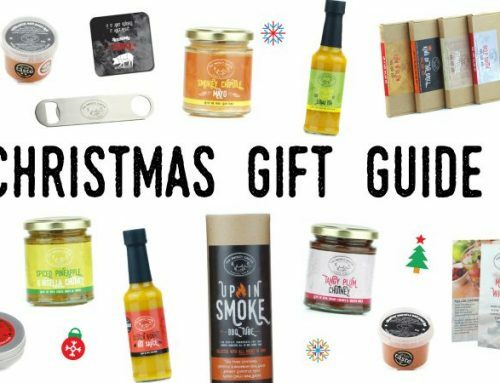 With Christmas just around the corner we wanted to bring to you our very own 12 days of Christmas Gift Guide! 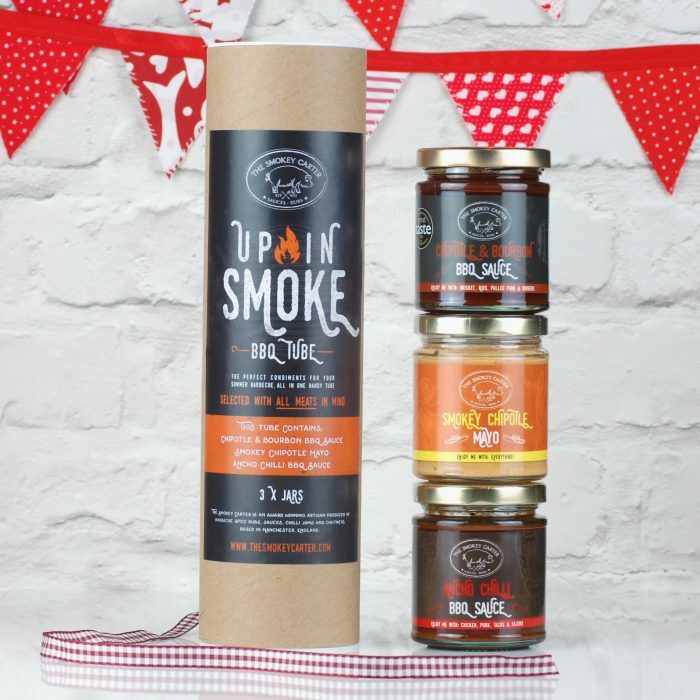 On the twelfth day of Christmas my true love sent to me, twelve Smokey rubs, eleven chilli sauces, ten fruity chutneys… ok you get the idea. 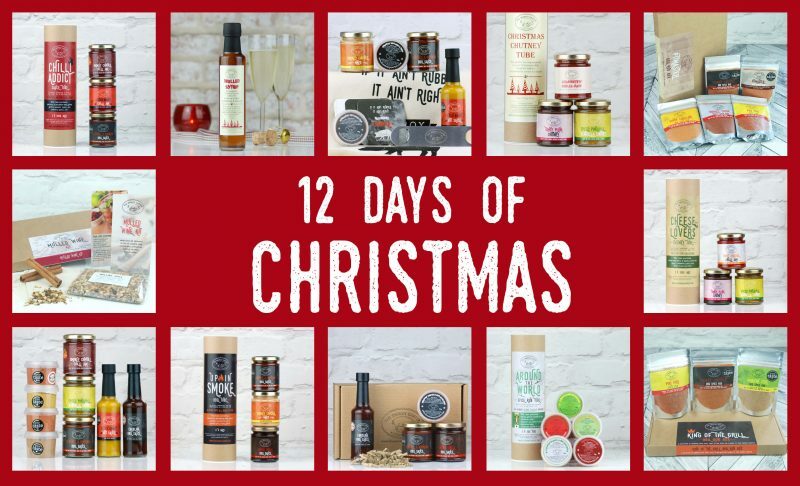 Our twelve days of Christmas showcases our very best gifts perfect for even the fussiest of foodies. As much as I LOVE cheese, and I do, I adore the stuff, have you noticed that it seems to taste even better at Christmas time? From creamy white cheeses, such as; brie Camembert, boursin, to those tasty strong veiny blues, stilton gorgonzola roquefort; we at Smokey HQ do not need a better reason to break out the red wine, oat biscuits, cream crackers and a hot baked baguette. So what could make your ‘cheese & wine’ night any better? Well this handy chutney tube will set everything off very nicely and makes the perfect gift for any ‘Lover of the Cheese’ in your family. We love a good cocktail at Smokey HQ, who doesn’t to be fair? And we think Christmas is the time to blow all the usual favourites out of the water and try something different. Something a bit warming, a little spiced and delicious. Designed for creating your own mulled wine and mulled cider at home. Also add a drop to a glass of prosecco, for an amazing sweet yet spiced Christmas beverage. 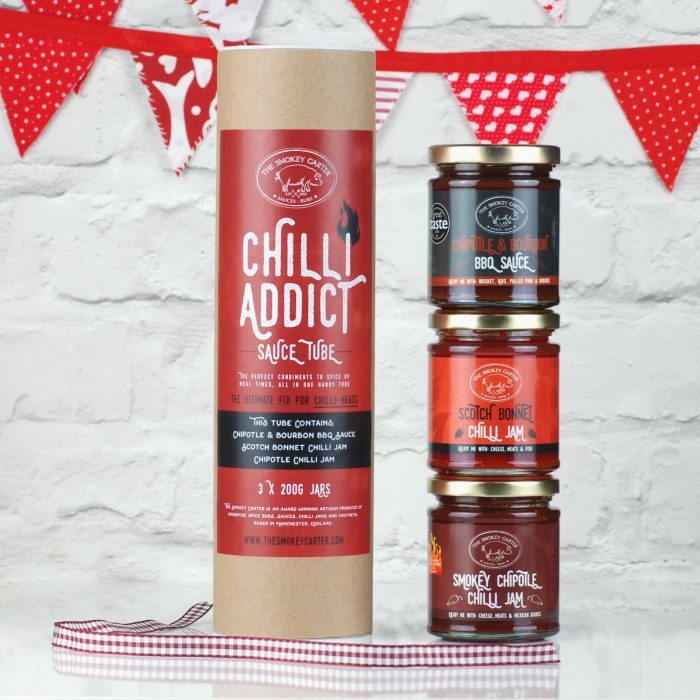 Our Chilli Sauce Man Box contains everything to keep foodie chilli lovers entertained. 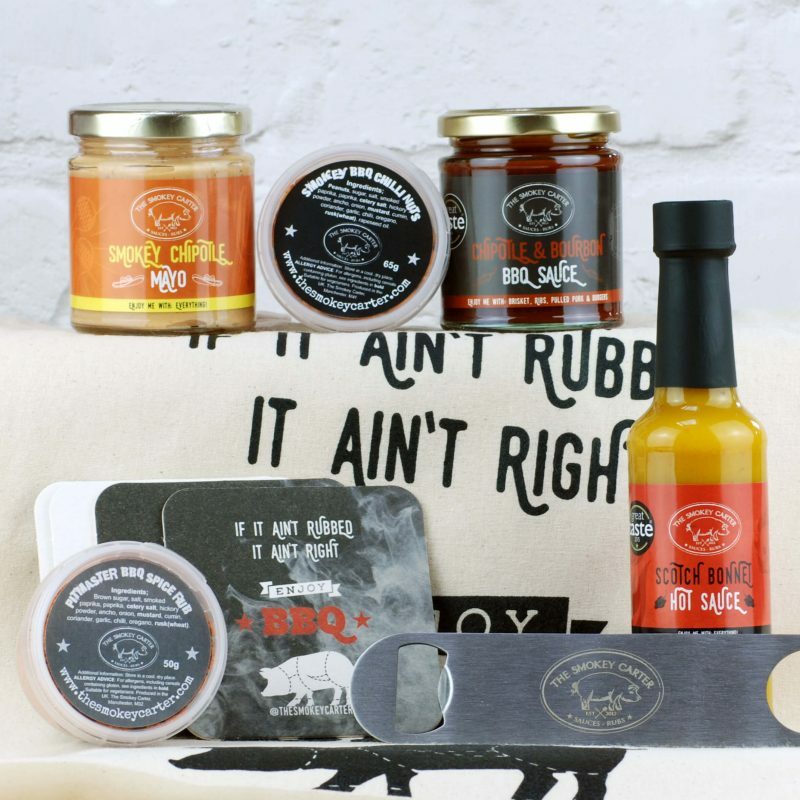 The perfect collection of goodies for every man, ranging from Smokey Chipotle Chilli Mayo, Scotch Bonnet Hot Sauce to award winning BBQ rub. There is even a bar blade style bottle opener, perfect for opening his favourite beer. Whats more there is a couple of beer mats and some Smokey BBQ Chilli Nuts. There’s even a tote bag to keep all his bits in. 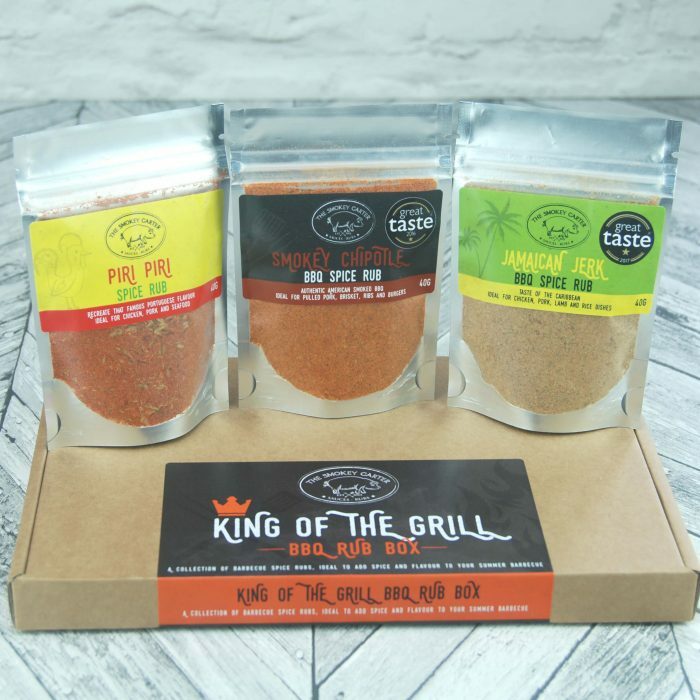 A tasty set of BBQ rubs ideal for that King of the grill or barbecue addict we all know. 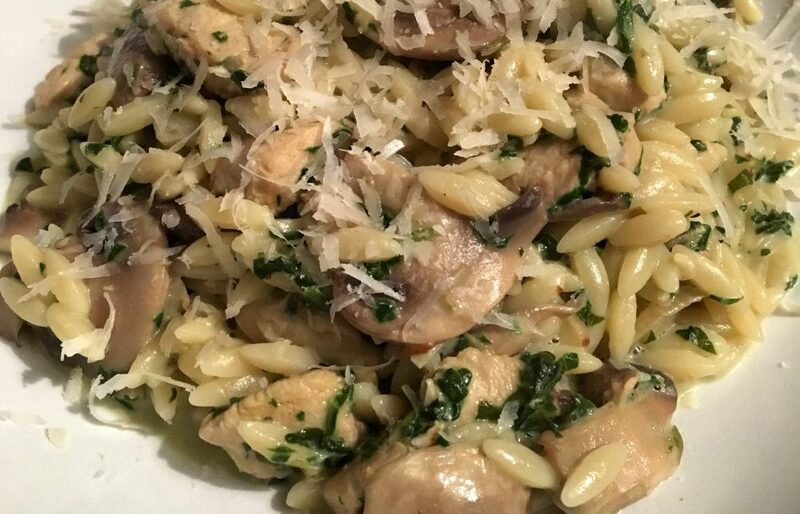 These seasonings are also great for cooking indoors. Why not rub some into your turkey on Christmas Day? 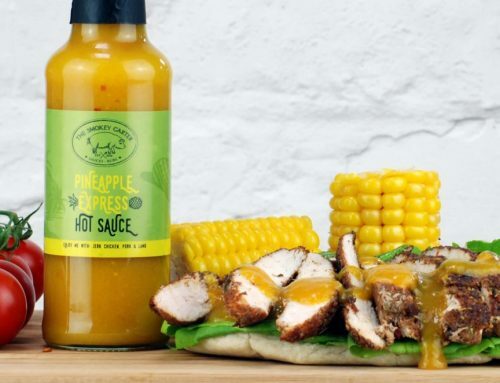 Our Great Taste award winning Jamaican Jerk BBQ Rub is perfect for recreating that Jamaican spicy favourite. Great on Pork and Chicken. 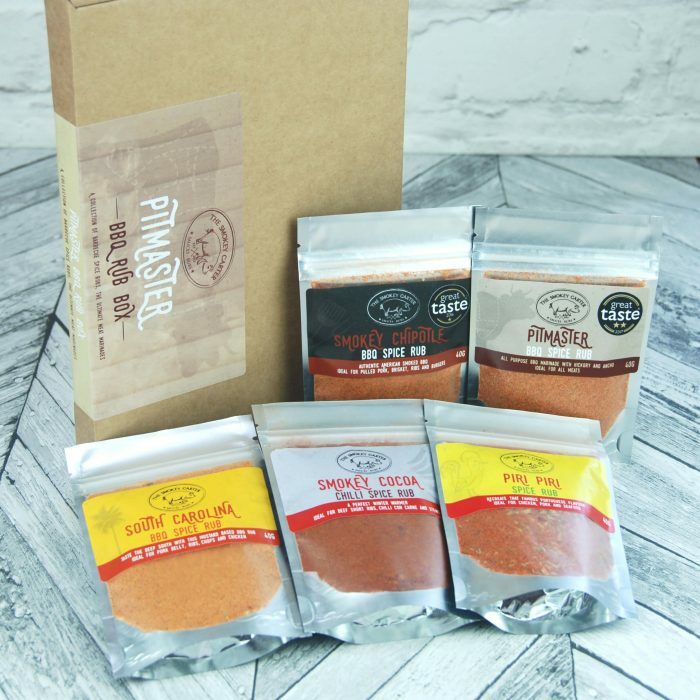 Spice up meal times with the Piri Piri Rub or make pulled pork with our best selling Smokey Chipotle BBQ Rub. This tube of spicy delights would make the ideal pressie for the ‘Chilli Head’ in your family. Designed to give a good punch of heat, without blowing your delicate bits right off. Packed with flavour, made with passion. Our ‘Chilli Addict’ Tube is one of our best sellers and contains two heat levels of chilli jam along with our best selling Chipotle & Bourbon BBQ Sauce. Have with cheese or add to burgers, stir frys, pulled pork and more. 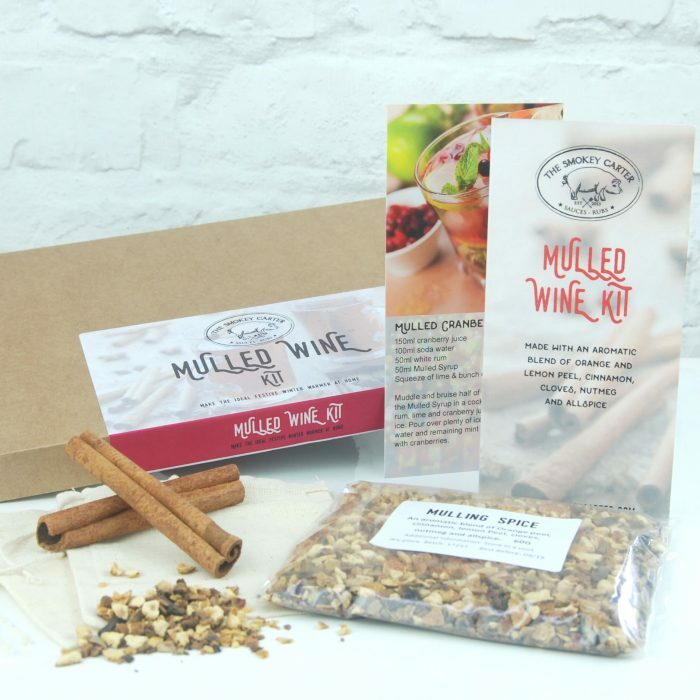 This neat Mulled Wine Kit is perfect for a little gift when visiting family and friends over Christmas. Makes a great stocking filler or present for your secret Santa. Use the recipe booklet to make your own spice infused syrup for a variety of festive cocktails and hot drinks. Also great for baking. Or simply sit back and help yourself to a warming mulled wine or cider on a cold winters day. Includes: 60g of Premium Mulling Spice, 2 x Reusable drawstring muslin bags, 2 x Cinnamon sticks, 1 x Recipe card including; mulled wine, cider and Christmas cocktails. Mulled Wine recipe also on the box. 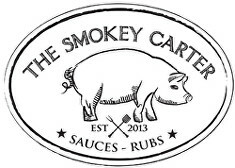 The newest addition to The Smokey Carter gift range. 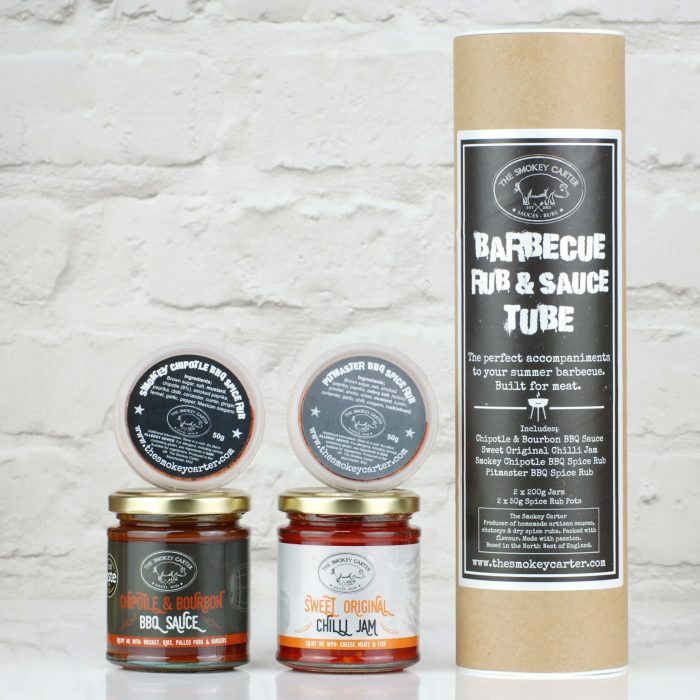 This gift tube includes our best selling Chipotle & Bourbon BBQ Sauce along with our two brand new sauces; Smokey Chipotle Mayo and Ancho Chilli BBQ Sauce. Use the mayo for…well anything, dip in your Christmas roast potatoes or spread on that late night turkey sandwich. Our Cola based Mexican ancho chilli sauce is great with nachos, basted on ribs or simply added to burgers. Use up those Christmas leftovers and make turkey enchiladas, tacos or fajitas. What could be better than all our award winning products all in one box? Well here it is, all nine of our award winning rubs and sauces. 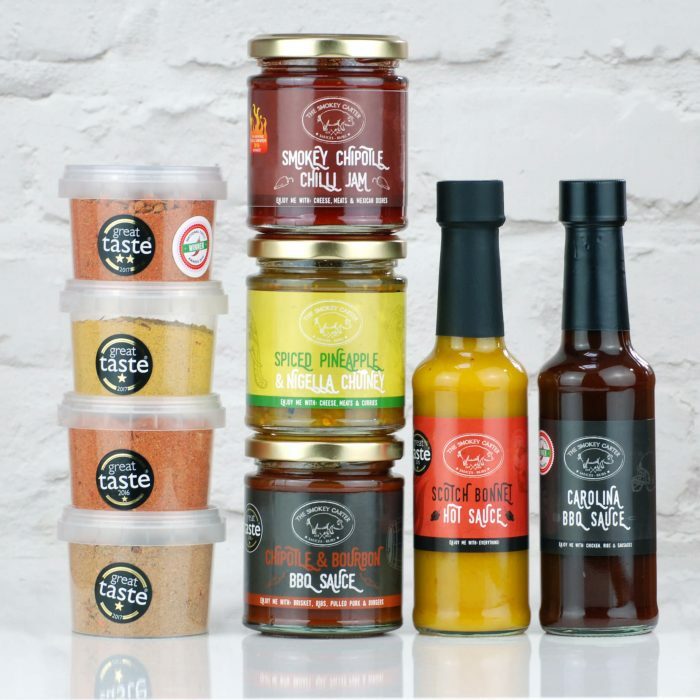 This great range consists of everything the condiment lover would need, perfect for spicing up Christmas day. There’s hot sauce, chilli jam, chutney, BBQ sauces and a variety of BBQ rubs great for spicing up food in the new year. 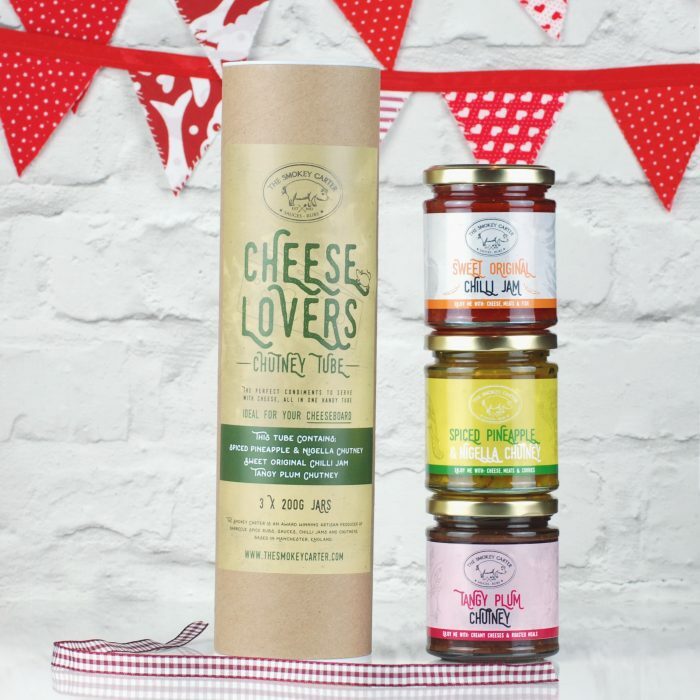 This trio of fruity chutneys and chilli jam are perfect for accompanying your Christmas cheeseboard or buffet. 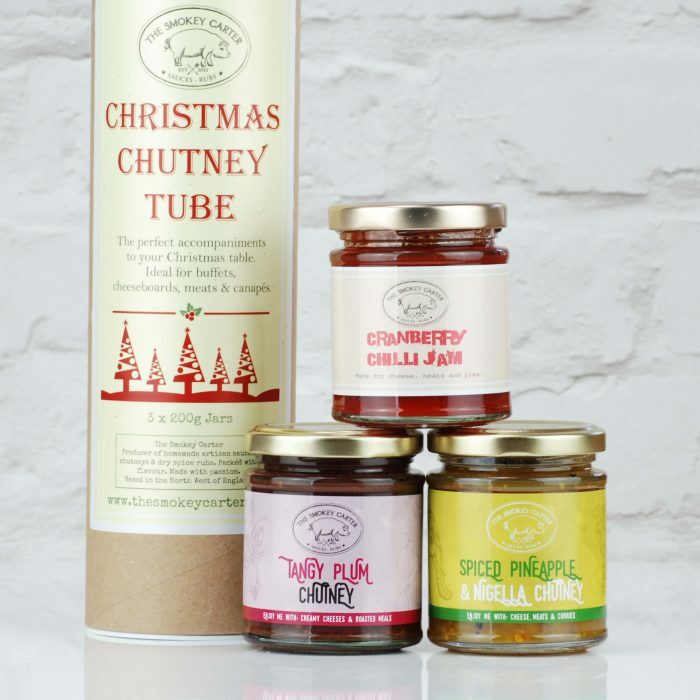 Including Spiced Pineapple and Nigella Chutney, Cranberry Chilli Jam and Tangy Plum Chutney this gift tube is ideal for stocking filler or gift for the family member cooking Christmas dinner. 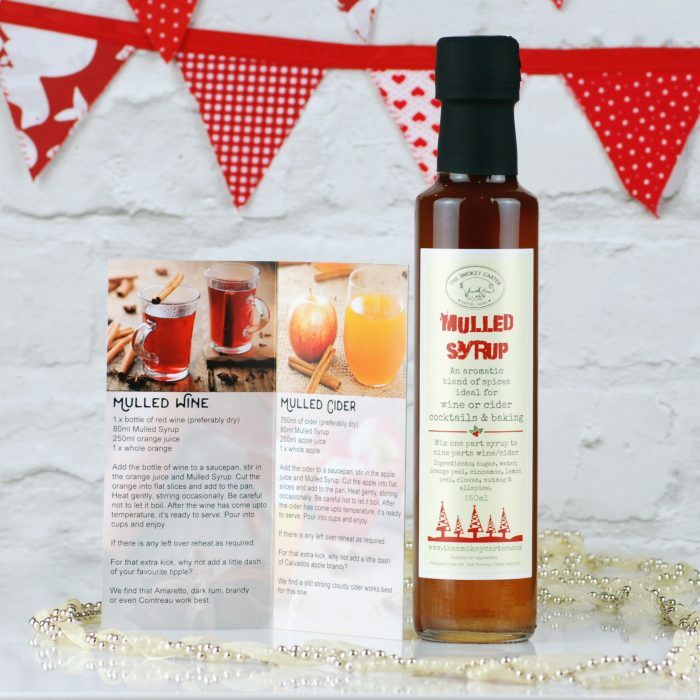 Bring excitement to the Christmas table and use the Cranberry Chilli Jam as an alternative to cranberry sauce. Yum! 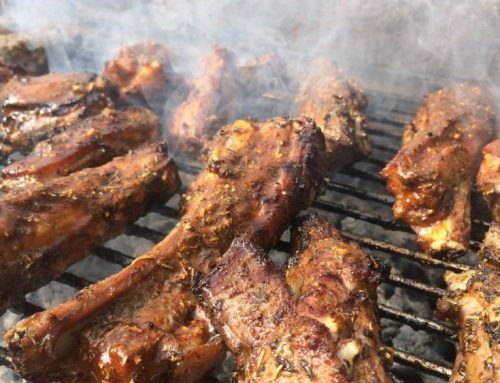 Become the King of the grill, with these five different hand blended dry spice rubs. Inspired by Pitmasters of the world. Not only great for marinading meat for the BBQ, but for oven roasting, pan frying, stir frys, soups and much more. 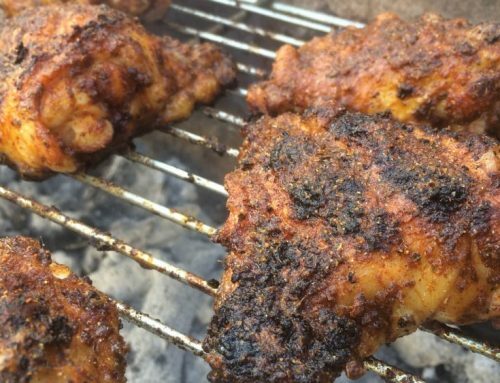 Includes; Pitmaster BBQ Spice Rub (2 x Gold Star winner at Great Taste Awards 2017 and Won 1st Place in the 2015 National Chilli Awards for Best Rub/Spice Blend), Smokey Chipotle BBQ Spice Rub (Winner of a Gold Star Great Taste Awards 2016), Smokey Cocoa Spice Rub, South Carolina Spice Rub and Piri Piri Spice Rub. Its just so chilly out right now, I sometimes feel I would like to hibernate until barbecue season is well and truly back. But it would be real shame to miss Christmas, the season of abundant indulgence. So summer will be here before you know it. 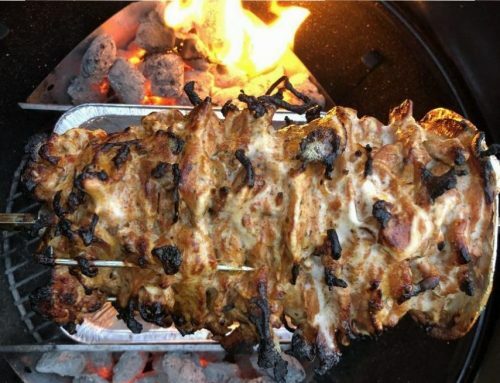 In the meanwhile, maybe this can keep your barbecue fanatic occupied indoors. Includes two of our bestselling rubs, BBQ sauce and chilli jam. But did you know that Smokey does a Black Label Box? 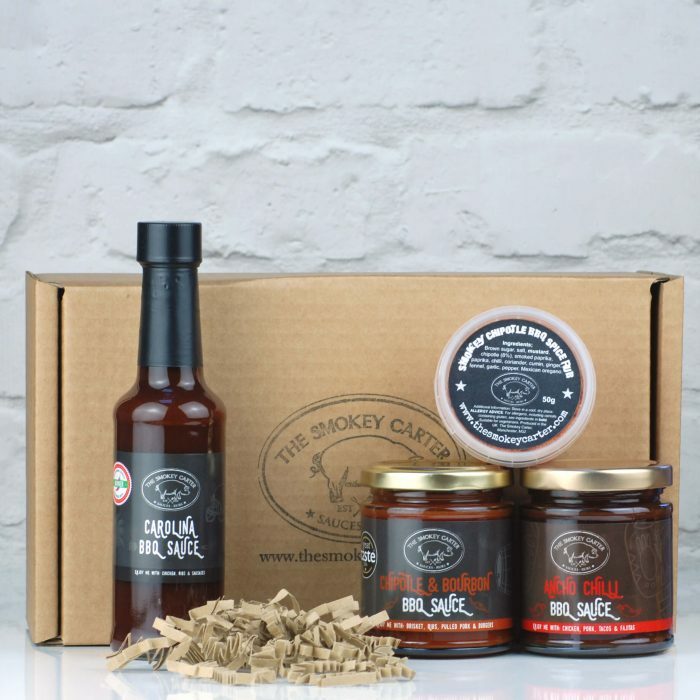 It’s a fab introduction to all things ‘Smokey’, with 2 Great Taste products; featuring Smokey Chipotle BBQ Rub & Chipotle and Bourbon BBQ Sauce. Plus the Best Mild Sauce at the National Chilli Award; Carolina BBQ sauce. Also includes our brand new Ancho Chilli BBQ Sauce.